Networking Events: Opening social reception Sunday; free evenings Monday and Tuesday; free afternoon Tuesday; closing event Wednesday evening, as well as daily early, mid-morning and early-evening coffee breaks. View all HERE. RRS would like to provide you and your company with the opportunity to support events at our upcoming Annual Meeting. RRS offers multiple gateways for exposure to hundreds of attendees. 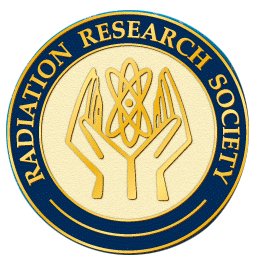 Radiation Research Society has various sponsorship categories available at different price points, allowing everyone to be involved. The following site lists the available sponsorship elements as well as important dates and information for your consideration. Leading scientists and program directors from US funding agencies and national labs. Researchers and clinicians from a large number of leading US and international universities and medical schools including radiation oncology departments. Emerging scientists and students who will be the innovators in the field; collaborate with the future in your world. Leading scientists and staff from many important biomedical professions.